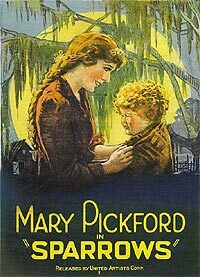 Mary Pickford was born Gladys Smith. In her time, actors hired for films were naturally recruited from the theater, and they played to the rafters. But young Mary had a different idea - she played to the camera. The consequence of this was that; not only did she revolutionize acting, but she created a sensation - audiences came to believe they knew her. They called her "America's Sweetheart". 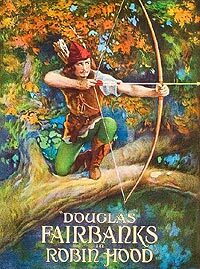 Douglas Fairbanks was born Douglas Ulman. He was the original screen swashbuckler, the first larger-than-life action hero. His stories were full of humor, optimism and ebullience. He bounded across the screen like an acrobat, weaving his way through towering sets combined with trick photography. His adventures were some of the greatest spectacles ever made. He too created a sensation - audiences longed to be like him. Together, they became king and queen; not just of Hollywood, but of America. Pickfair, their Beverly Hills residence was often referred to as "America's Buckingham Palace" and "the White House of the West". Guests at Pickfair, among various royalty and politicians from around the world, included Albert Einstein, H.G. Wells, Amelia Earhart, F. Scott Fitzgerald, Noël Coward, Arthur Conan Doyle and Fairbanks' best friend, Charlie Chaplin. In July 1920, on board the SS Olympic bound for New York City, newlyweds Doug and Mary were returning from Europe when they made the acquaintance of a young music hall acrobat, the 16-year-old Cary Grant. Forty years later, Grant remembered: "I tried with shy, inadequate words to tell him of my adulation. I've doggedly striven to keep tanned ever since, only because of a desire to emulate his healthful appearance". What amazes is that even the incomparable Cary Grant, though at the time he was a gawky Archie Leach, envied and wanted to emulate heroes from the silver screen. But it makes sense, doesn't it? In movies, ordinary human beings can be elevated to exquisite works of art. Who wouldn't wish to be a living, breathing work of art? But if a snapshot of a smile can be deceptive, how much more so the moving picture? 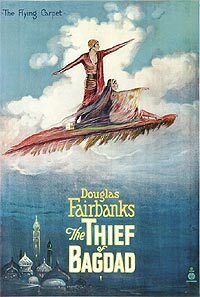 Douglas Fairbanks seemed indestructible and Mary Pickford forever youthful. How tempting it is to forget that movies are illusions, and that life within these illusions can be dangerous. As the 1930s approached, the champagne bubbles of most silent film stars lives began to burst. Remarkably, not even the careers of those at the very top would survive. 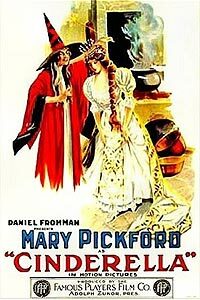 In 1929, Mary won an oscar for best actress in Coquette; four years later she gave up acting. She was forty-one. Doug and Mary could no longer pretend to be the characters audiences adored, and so tickets to their films stopped selling. Both were devastated, heartbroken. While she retreated to her bedroom and privately suffered alcoholism, he retreated to non-stop worldwide travel and other women. By 1933, he told his son (new movie star Douglas Fairbanks Jr.), that he was bored with life and prepared to die. America's king and queen ended their marriage. Mary Pickford married again in 1937, adopted two children, and went on to live another forty-two years, though throughout all of those years, she remained almost entirely at Pickfair, receiving few visitors. 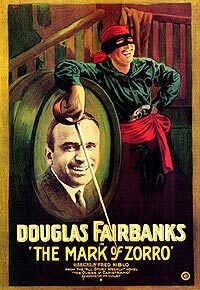 Douglas Fairbanks died in 1939. He was fifty-six. If only life was more like the movies. If only there was some way to stab reality in its cruel heart and get away with it. But maybe if it weren't for the inadequacies of life, the illusions these two giants created would never have survived for so long. Their works, and the ideas they pioneered, are as relevant and important now as ever. "... crackles with witty dialogue, the action remains on full-throttle, and lovers of thrills and spills in fiction will savor every page..."